"I highly recommend�Bezerkaz Circus�to all Local Mums.�Shaun, Ricky, his son Toby and the rest of his team made our Olympics Big Day Out at Dulwich College another fantastic event.�With approx 300 children and adults from across six London boroughs, this was our biggest family event of the year.The Bezerkaz team battled with really demanding conditions on the hottest day of the year and worked so hard for every single minute when many of us were wilting! I particularly commend�Bezerkaz�empathy and understanding in working with the range of children we support. 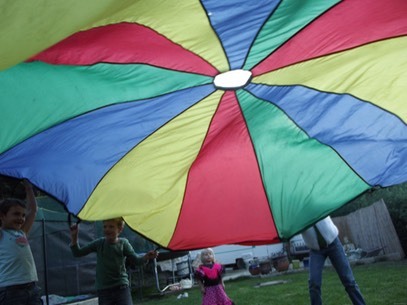 Some of our children don’t like noise or big groups but they included everyone in fun activities, circus skills and games and as the children were happy all the parents were happy, which is what we wanted. They were brilliant at engaging with children who needed extra attention and support. The circus skills were fun and imaginative and adapted to the audience. The team were flexible, enthusiastic, accommodating and just the nicest bunch of people imaginable! We got excellent feedback from our parents. Some said it was the best day of their whole summer holiday. High praise indeed!�We look forward to working with�Bezerkaz Circus�again." 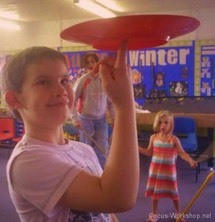 "I would highly recommend�Bezerkaz Circus�to all Local Mums. We hired�Bezerkaz�for our school's 10 year celebration. Everyone was over the moon with the entertainment they provided at our party.�The children were so excited and were full of stories. The ladies in the office and our head all thought�Bezerkaz�were wonderful and really made the 10 year celebration special!" 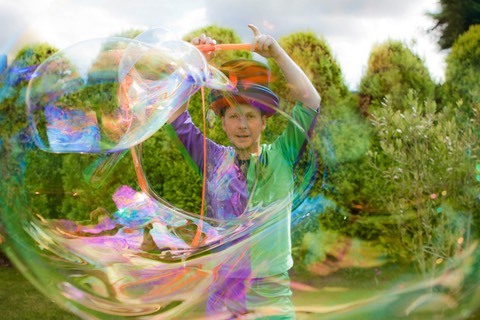 From village fetes, children’s birthday parties, Sutton Town Festival to such huge events as Glastonbury Kids' Field, WOMAD and the World Scout Jamboree, Bezerkaz Circus have �performed jaw dropping tricks, made gigantic bubbles and taught exciting circus skills all over the UK. We work with all children and specialise in workshops for special needs children. Based in Sutton and set up in 2001 we offer an incredible variety of tricks for children’s parties and are much more than just children’s entertainment. Our circus skills workshops allow children to try plate spinning, diabolo, juggling, twirling, balancing objects, bubble making, clown games and lots more; everyone will find something they can achieve. �It is so much more valuable than just watching a show. In addition, we can meet and greet on stilts, perform bubbles, make balloon models, juggle fire and offer a clown show all helping to make your event and unforgettable and educational experience.